Mike Gray takes a smoke break from playing his Go-Box. 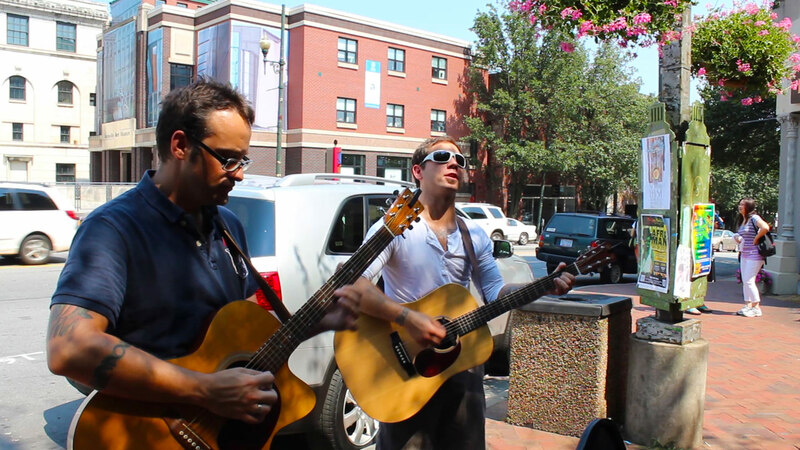 It’s a rare enough thing to harness one’s passion and dedication long enough to master any musical instrument. 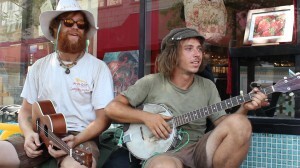 But to create a musical instrument, develop techniques for playing it, and then become a master of that instrument … it’s practically the stuff of musical legend. 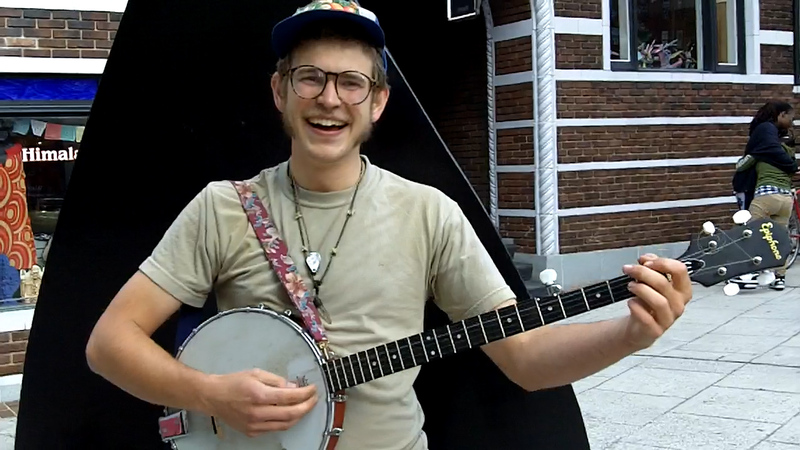 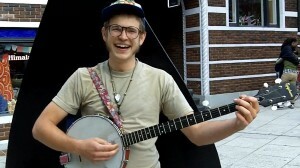 But for Austin-based musician Mike Gray, it was just something to do with a broken guitar. 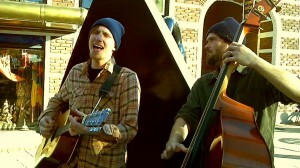 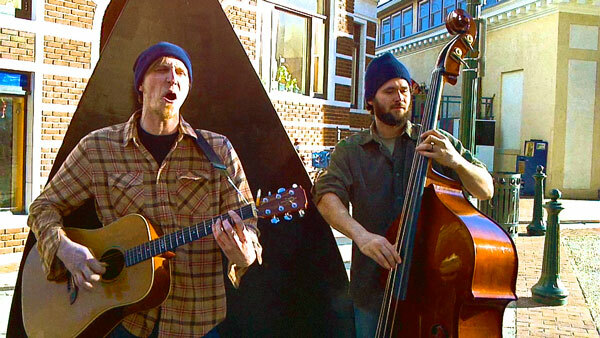 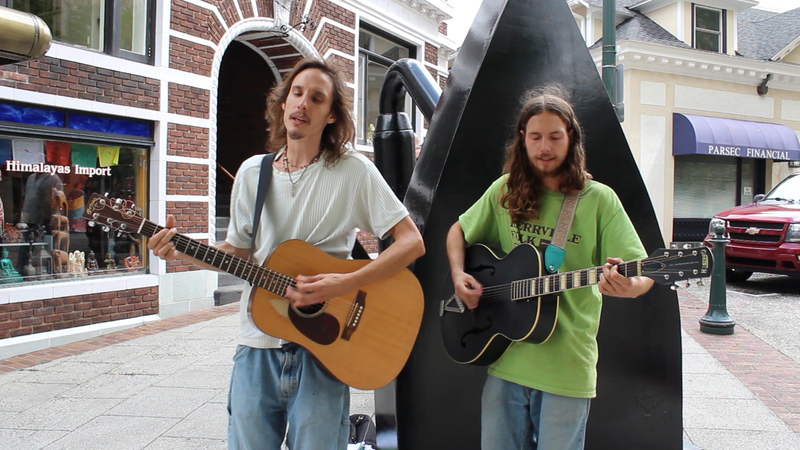 Dan Cioper and Shawn Bayley perform in front of the Iron Sculpture in downtown Asheville, NC. 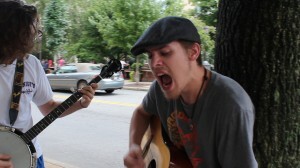 Caster performs the Bo Carter tune “Your Biscuits Are Big Enough For Me” in front of the Iron Sculpture in downtown Asheville, NC. 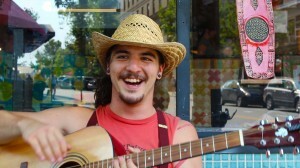 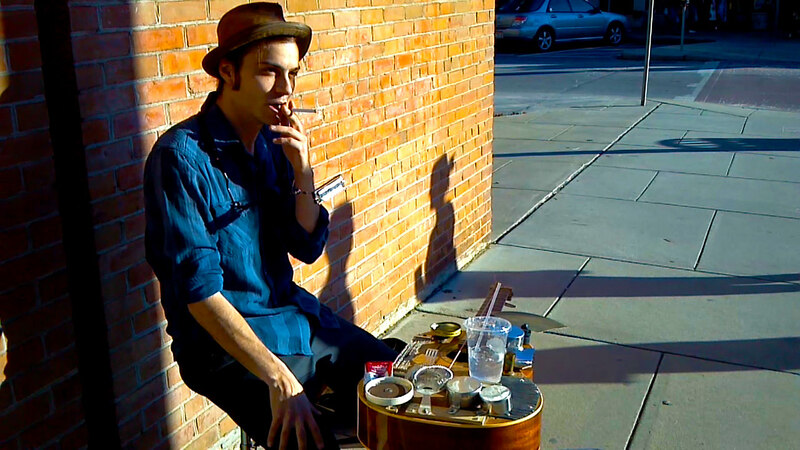 Recently unearthed from the Busk Break archives, Caster covers this classic “dirty blues” tune in 2011! The Archaic perform near Pritchard Park in downtown Asheville, NC. 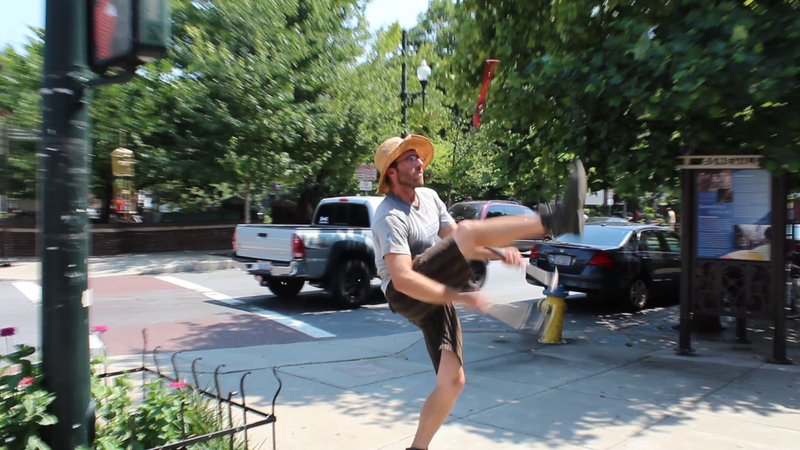 Alex Berkow juggling a few things you could buy at Lowe’s near Pritchard Park. Charles Clyde Toney performing in front of the Woolworth Walk. 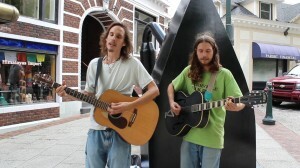 Patrick and Cody playing in front of the Woolworth Walk on a sweltering summer day.